A pixie hairstyle is a great way to create a sleek look for evening with hair that can be pulled back from the face or even a hairstyle that can be worn casually with a bit of molding paste. Pixie hairstyles are created with volume through the front of the style that can be pulled back or even back combed to create a look that can go with any occasion. 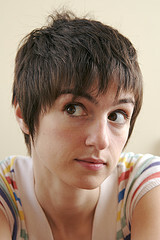 Pixie hairstyles are a great option for women that are seeking something new or seeking a way to revitalize their hair. Finding the latest styles can ensure that you are in fashion when it comes to your hair.